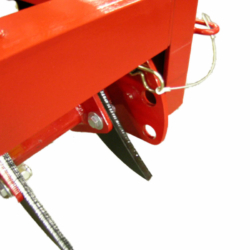 Designed to be pulled behind a utility vehicle, the Dirt Doctor Jr™ Tow Model Infield Drag & Groomer can plow, pulverize, drag, compact and finish in one pass. 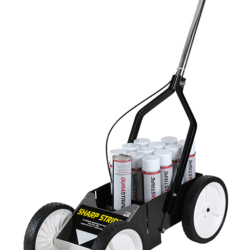 You will get the performance of much larger infield grooming machines at a fraction of the cost. 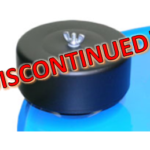 Plus, all adjustments can be made super fast and require No Tools! 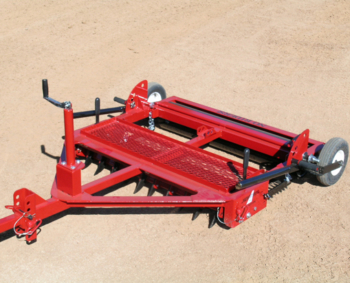 You can easily fine-tune the reversible harrow teeth, pulverizer bar, transport wheels and optional finishing broom to give your infield the perfect playing surface. 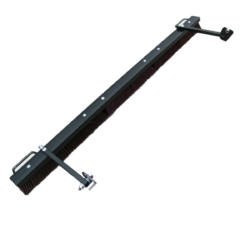 Easy to use – Just attach it to your utility vehicle using its 4 position, universal hitch and you are ready to start grooming your infield. 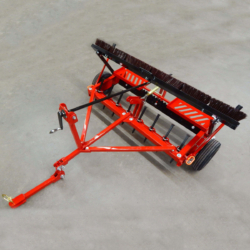 Fast – Quickly adjust the machine to your infield grooming needs without needing any tools. 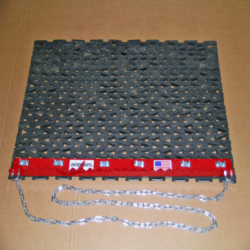 Tough – American Made using all welded steel construction and quality components. 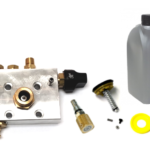 Reliable – Backed by a 18-month warranty the Dirt Doctor Jr™ will give years of maintenance-free service. Cutting Path 48", Brush-drag Path 72"
Copyright © , NEWSTRIPE.COM . All Rights Reserved.